At around an hour’s drive south of Brisbane, the Gold Coast is close enough for a day trip, yet action-packed enough for a full holiday! There are so many things to do on the Gold Coast with kids that families are spoilt for choice. Aside from spending time at the stunning beaches, you can experience thrill rides in the theme parks, explore the beautiful hinterland, have an animal encounter, and much, much more! If you’re thinking of heading to the Gold Coast, here are some of the best experiences to try and places to visit while you’re there! You can’t go past the beautiful beaches on the Gold Coast for great places to visit with kids. 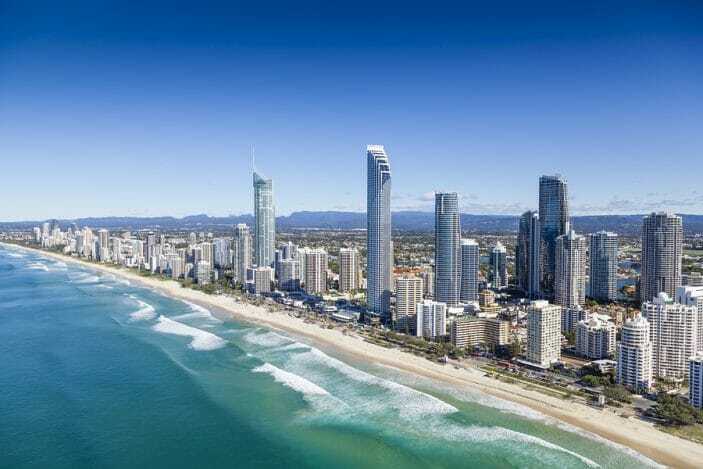 The most infamous of all the beaches is Main Beach at Surfers’ Paradise. This is great for being close to restaurants, entertainment and a huge range of accommodation. There’s also Broadbeach, flanked by fancy high rises. Then Mermaid Beach, Nobby Beach and Miami are quieter beaches in a more residential area. Burleigh Heads is a little further south and lovely. Then you have the estuaries of Tallebudgera Creek and Currumbin, where you get the best of both worlds, with the sandy shores and calm waters of the creeks, just round from the amazing main surf beaches. Then finally there’s beautiful Coolangatta, just before the border to New South Wales. You really are spoilt for choice with beautiful beaches to visit on the Gold Coast, and the kids will love playing in the sand, swimming and body boarding! Kids will love playing in the crystal clear waters of the ocean off the Gold Coast. Aside from swimming and playing on a body board, what else can they try? How about learning to surf at one of the Gold Coast’s amazing surf schools? You can find a full list here. Another great option for getting out and having fun in the ocean is to hire a boat. You can find out all about boat hire for families on the Gold Coast here. From June to November, you can also enjoy getting up close to some amazing marine life with a whale watching trip on the Gold Coast. 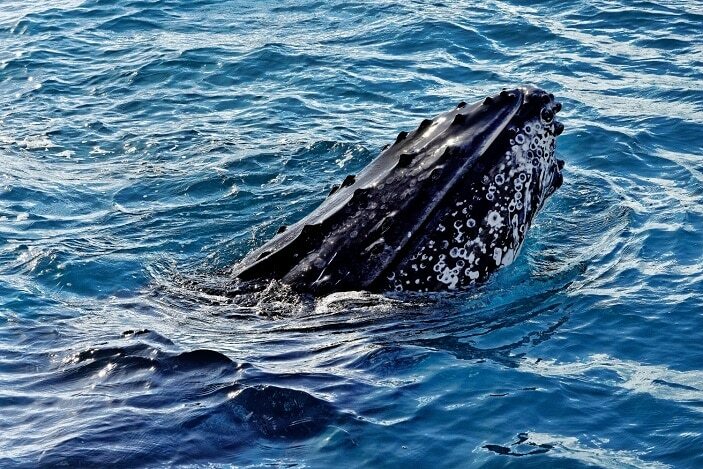 Here are more details about whale watching on the Gold Coast. 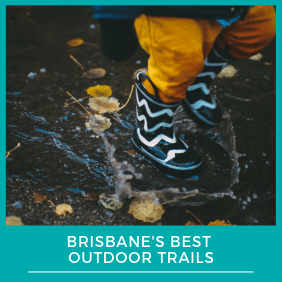 All kids love playgrounds, and the Gold Coast has its fair share of awesome parks for kids! One of our absolute favourites is Broadwater Parklands in Southport. On top of all the usual park equipment, there’s a zipline, pedal monorail and awesome water play, including an inflatable water park in summer! You can find out all about Gold Coast Playgrounds here. 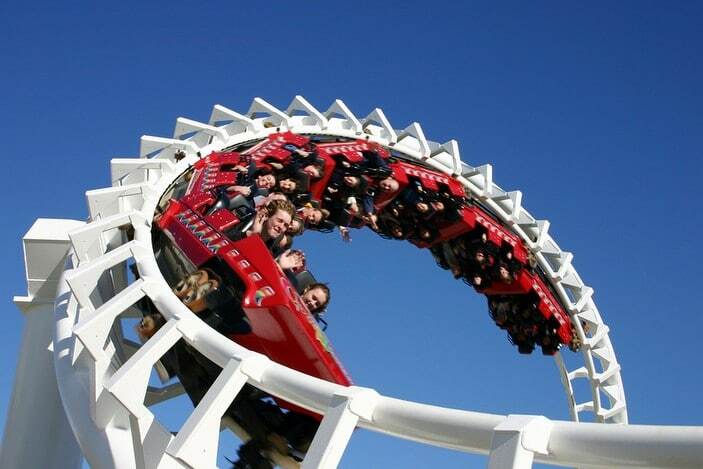 The theme parks of the Gold Coast are a massive drawcard for visitors. There’s Dreamworld and Whitewater World, plus Warner Bros. Movie World, Sea World, Wet’n’Wild, Paradise Country and Australian Outback Spectacular. 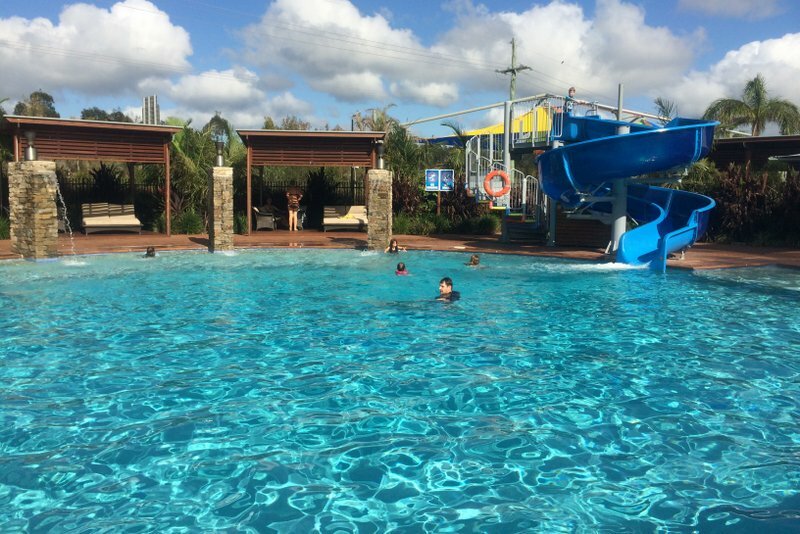 You can find a full guide to Queensland theme parks here, and before you go, be sure to check out our awesome discount ticket offers and deals! There are also some great places to visit for encounters with beautiful animals on the Gold Coast. One of the best is Currumbin Wildlife Sanctuary, with its huge variety of animals and lots of great shows and animal feeding exhibitions to keep kids entertained. You can read our full review of Currumbin Wildlife Sanctuary here. 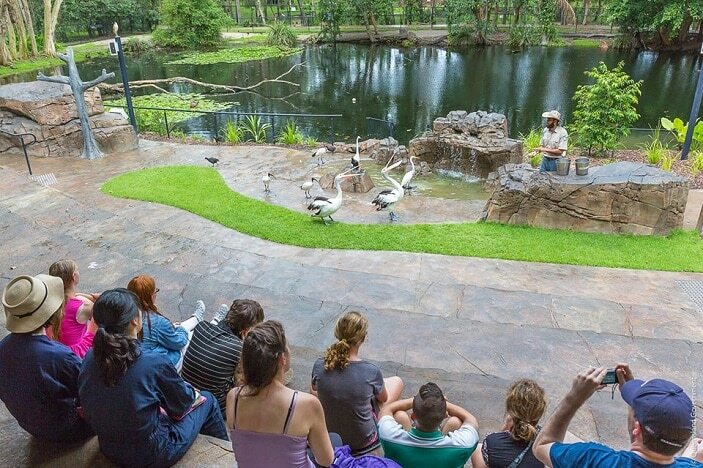 Another great place for animal encounters is the David Fleay Wildlife Park, which you can find out more about here. This is a quieter venue, where the animals are kept in conditions as close to natural as possible. There are still so many animals to see here and lots of great shows too. Kids will also love visiting the Gold Coast Butterfly House. While this is essentially a hobby farm, it’s open to the public three days per week. There’s a life cycle room packed with information on butterflies and the lovely walk-in butterfly house with its beautiful plants and flowers, and of course many butterflies! You can read more here. The Gold Coast is also home to some more unusual attractions that kids will love. 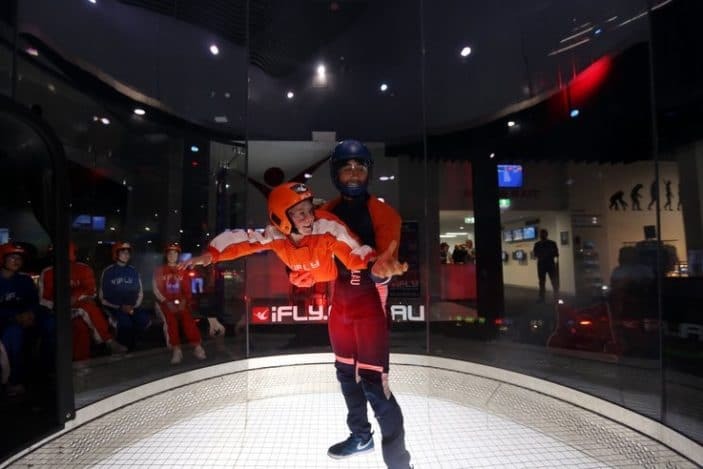 They can try indoor skydiving at iFly at Surfers Paradise, which is a great action sport that is safe for kids. Read our full review here. Families can also get back to nature at the Paradise Country Farmstay, where they can visit Paradise Country, take part in farm activities like animal feeding, egg collecting and cow milking, and enjoy a nightly campfire. You can find out more here. Another quirky attraction of the Gold Coast is Tropical Fruit World. This is a working fruit farm growing a massive variety of exotic fruits. 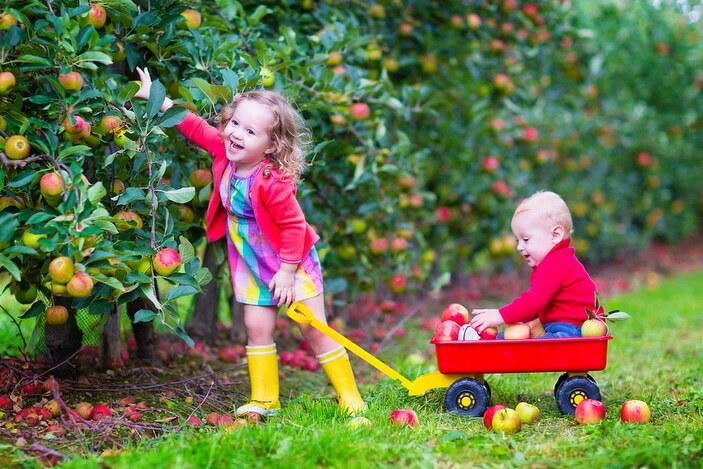 You can visit the plantations via tractor train, feed the animals, enjoy a boat cruise, and of course do fruit tasting! To find out more, click here. 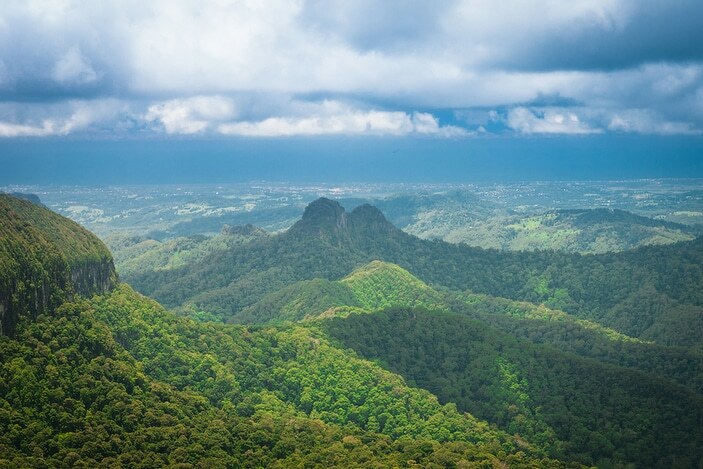 If you’re all done with beaches, theme parks and the hustle and bustle, head to the Gold Coast Hinterland, where you can truly get away from it all and out into nature. Here are the highlights of the hinterland for you to explore! 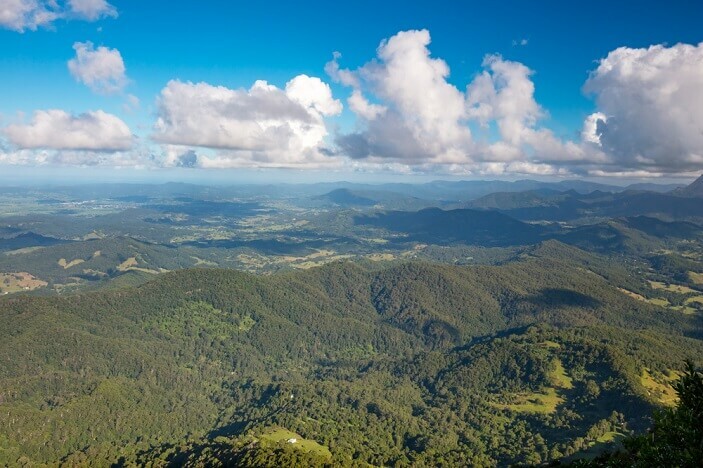 At beautiful Mount Tamborine, kids will love seeing waterfalls and the spectacular views from lookouts. Cedar Creek Conservation Park is a must-visit, where you can see the Cedar Creek Falls and kids can play in the rock pools. Why not try your hand at fossicking by searching for thunder eggs at Thunderbird Park? We managed to get a bucket full each! And you can click here for many more things to do with kids at Mount Tamborine. Enjoy the bush walking tracks and unique wildlife at Binna Burra and Lamington National Parks. Check out our full review for everything you can see and do here. 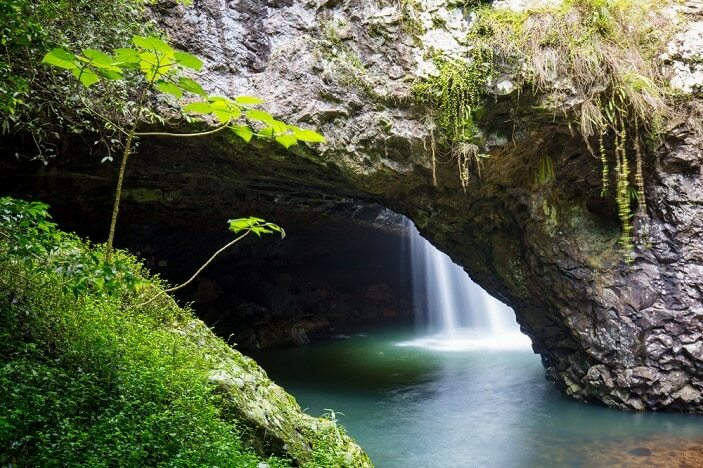 Springbrook National Park is another awesome hinterland destination to visit. Take the kids for a play in Apple Tree Park, and walk the Twin Falls Circuit or Natural Bridge Circuit for bushwalks among stunning scenery. You can visit lookouts such as the Best of All Lookout, and you can even find glow worms! You can read all about what do when you visit Springbrook National Park here. For more awesome things to do on the Gold Coast, check out our full directory of information, reviews and more at Gold Coast for Kids.